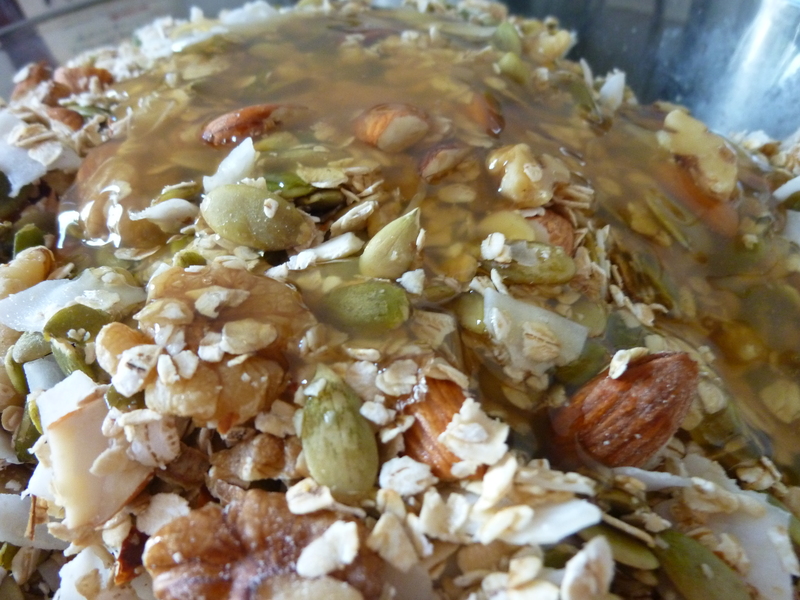 3-8 tbsp (brown) rice syrup (or glucose syrup) – I used 3 which made some clusters but not all and I liked the sweetness. If you want all of it to cluster and want it sweeter add in more syrup. Make sure that the rice syrup is pure, the mixes contain fructose. I get mine at the Bulk Food Savings in Auckland (in the car park behind Wendy’s) but you can get this in most specialty stores. Please share where you have found yours. It really doesn’t matter too much which seeds and nuts you use, pick your favorites or whatever you have in your cupboards, I just found the combo above to be my favorite. Pre-heat oven to 160C. 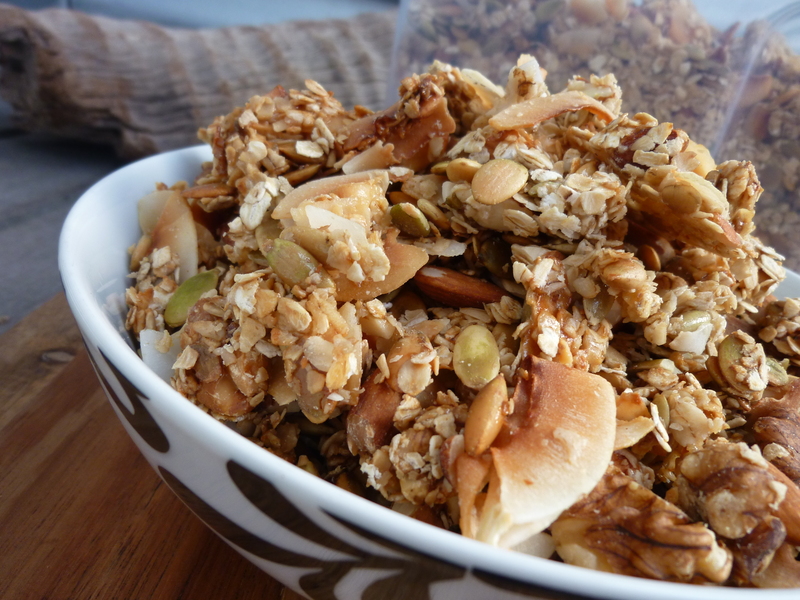 Chop the almonds and walnuts into chunky pieces. 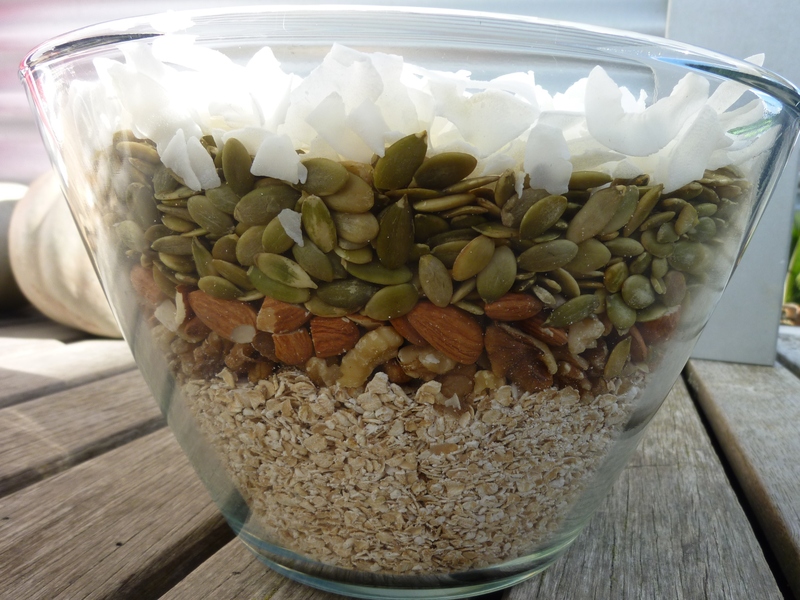 Pour all the nuts, oats and seeds into a bowl. Pour over a third of the syrup, mix, add another third, mix, add the remainder, mix. Then spread out on a baking sheet and bake in the middle of the oven for 6-10 minutes approximately (depends on your oven and how small you chopped the nuts and how roasted you like it). If you fan bake you can put in two sheets at the time and do two rounds. 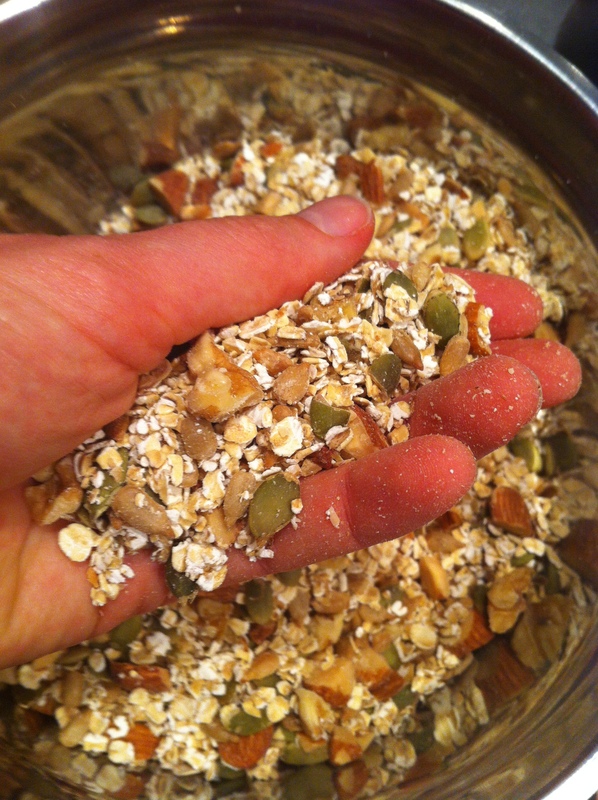 Keep the granola on the baking sheet and cool down at room temperature before transferring to an airtight container. Enjoy! These meatballs are inspired by my Danish heritage (they are called ‘frikadeller’ and are normally flat) and take only 20 minutes of prep and 25 minutes of baking in the oven. Super easy on a weekdays when you don’t have time to cook for hours. Makes around 10-12 meatballs and enough salad for two. Preheat the oven on 175C (350F). 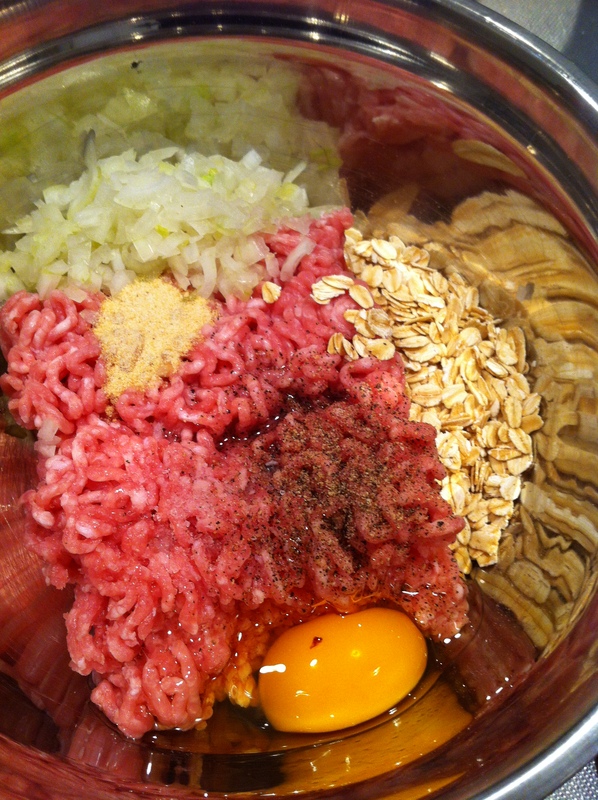 Now combine all the meatball ingredients in a bowl and mix with a fork or your hands (or if you want a finer consistency put it all in a food processor – I just like the rustic texture from hand chopping). 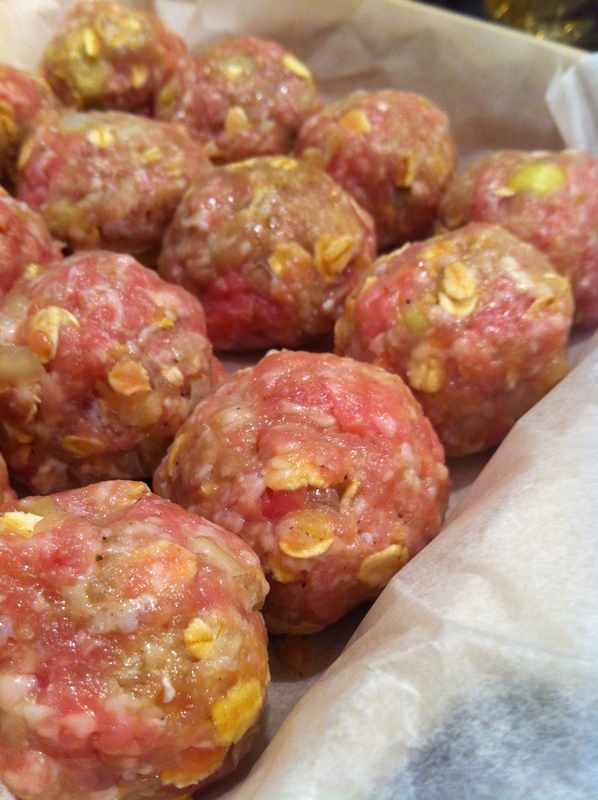 Shape the meatballs (approx 2 tbsp per ball) and place in a baking tray lined with a baking sheet. 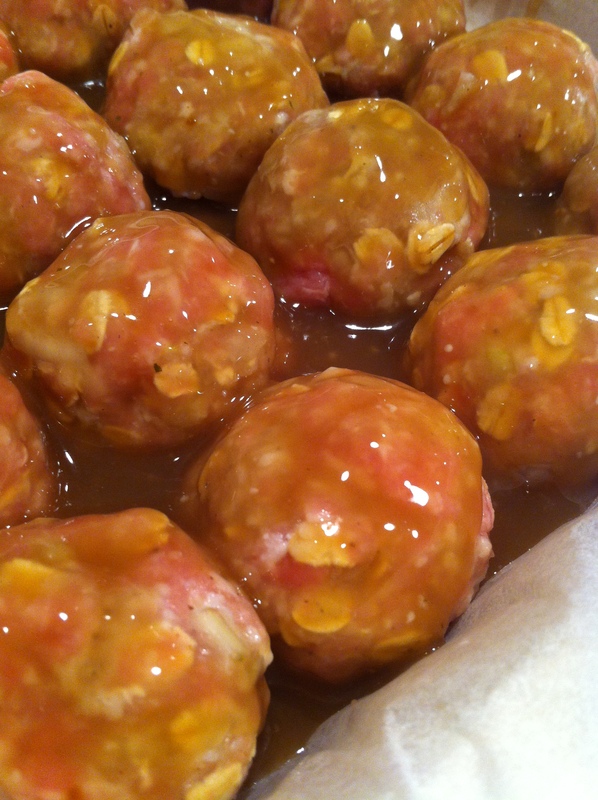 Then pour over the meatballs and pop in the oven for 25 minutes (test one to see if the liquids run clear – if they do, they are ready). While the meatballs cook boil your preferred rice. 5 minutes before the meatballs are due to come out the oven you prepare the salad. Peel or wash your carrots. If you can get organic carrots that’s best, then all you need to do is just cut off the ends and scrub them to keep all the nutrients in the peel. The non-organic ones I always peel as the peel will also contain all the pesticides they are sprayed with. In this case I have organic pears but regular carrots. Slice the pear in 4 pieces and de-core it. 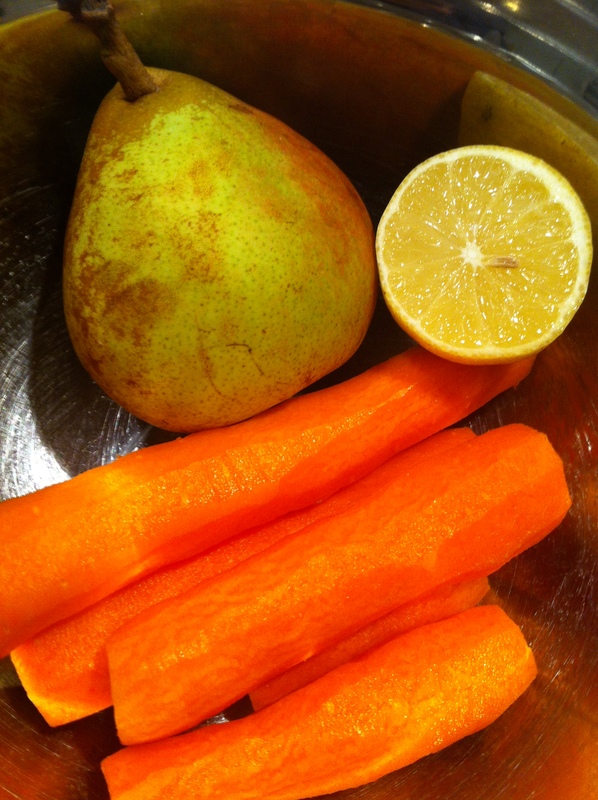 Then grate the carrots and pear and squeeze over the lemon (add more if you like it zingy). 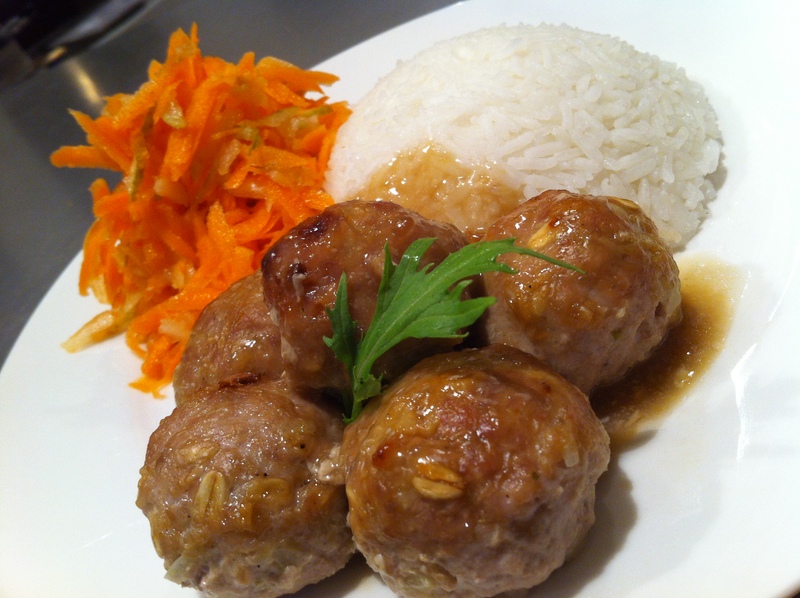 Combine gently and serve with the rice, meatballs and sauce. 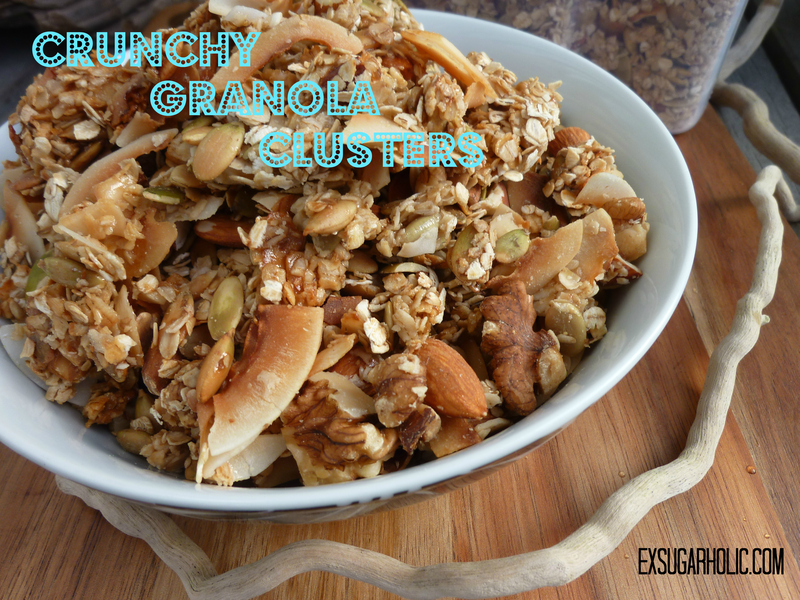 Since I cleared the house of most products with wheat and gluten in it, I thought I would try to find a new replacement for breakfast that my man might enjoy as well and I came up with this granola which we both find delicious (we mixed it 50-50 with cornflakes this morning and almond milk poured over… Yum!). 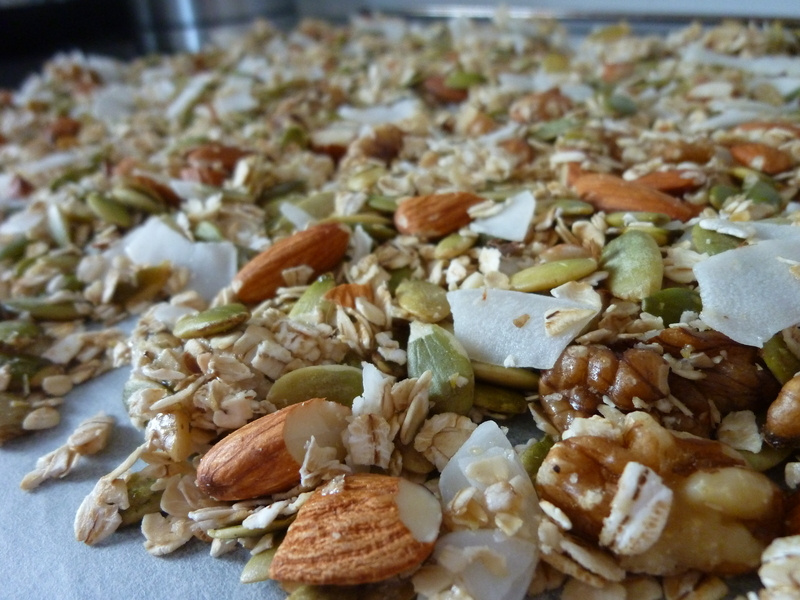 I basically put in my favorite nuts and seeds, but this recipe could be made with anything, use around 50-50 oats to nuts/seeds. 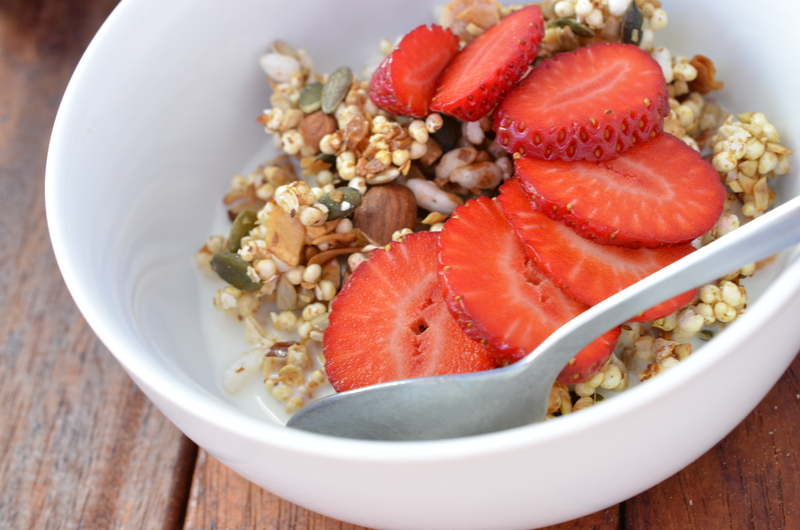 Just make sure you get certified gluten-free oats if you are allergic. Pre-heat oven to 160C (320F -don’t go above this temperature if you add dextrose as it has a lower melting point than table sugar). Chop the almonds and walnuts into pieces. 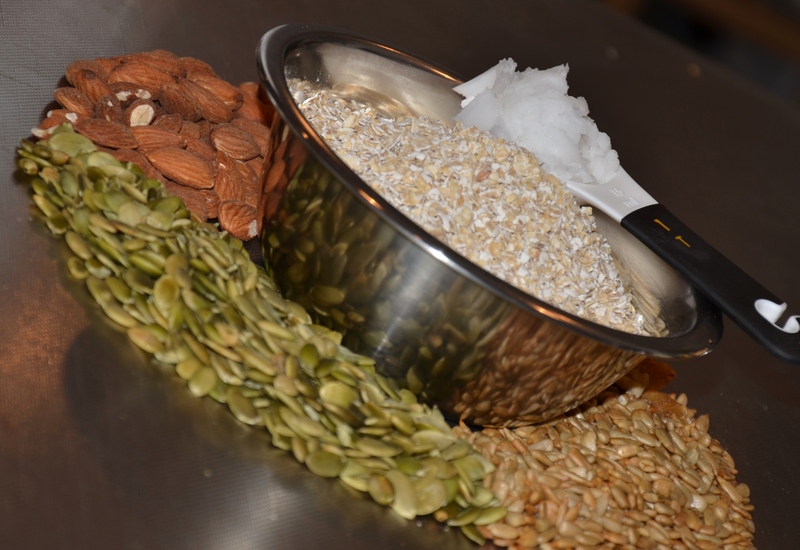 Pour all the nuts, oats, seeds and dextrose into a bowl and combine. You could use honey instead of dextrose, just keep in mind that it has fructose in it (which I try to avoid). Melt the coconut oil and pour over the mix and stir. Then add the vanilla essence and stir again. Then spread the mix on two baking sheet and pop in the oven for 15 minutes. 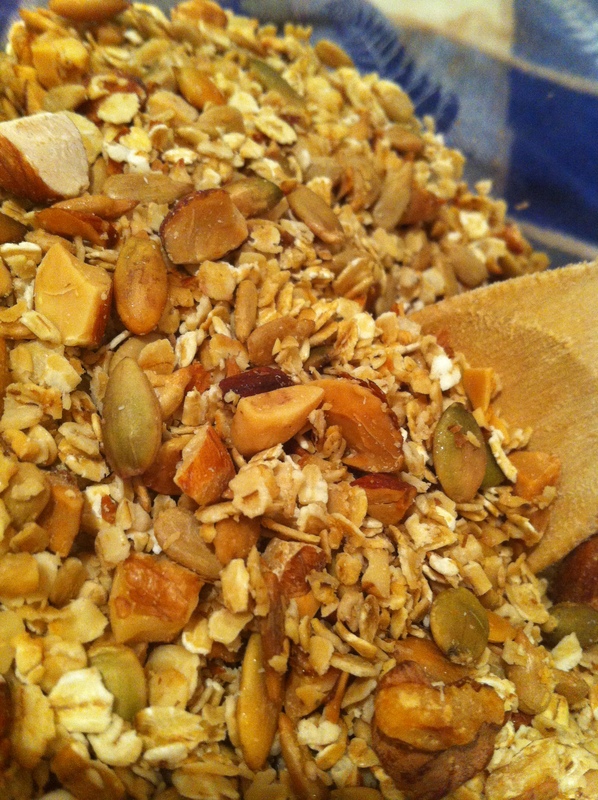 Take the granola out of the oven and cool before putting in an airtight container to store.